Sliding seat rowing typically takes place on inland and coastal waters across the country and is what you see at the Olympic and Paralympic Games. Sliding seat rowing takes place in boats that has seats on runners which move up and down the slide – hence the term “sliding seat”. It is the type of rowing that you’ll see at the Olympic and Paralympic Games. Sliding seat rowing can be with one oar (sweep rowing) or two oars (sculling). You can take part on inland and coastal waters. Inland boats are typically narrow racing boats (fine boats) designed for rowing on calm waters. For people new to rowing there are stable boats which are wider than the narrow racing boats making it easier for beginners to learn to row. Coastal sliding seat boats are specially designed for the rougher conditions found on the seas and estuaries. 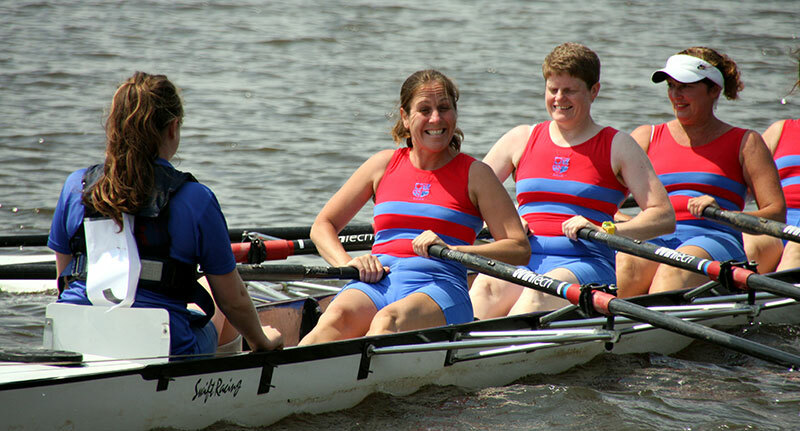 Sliding seat rowing takes place across the country on lakes, reservoirs, rivers and canals. 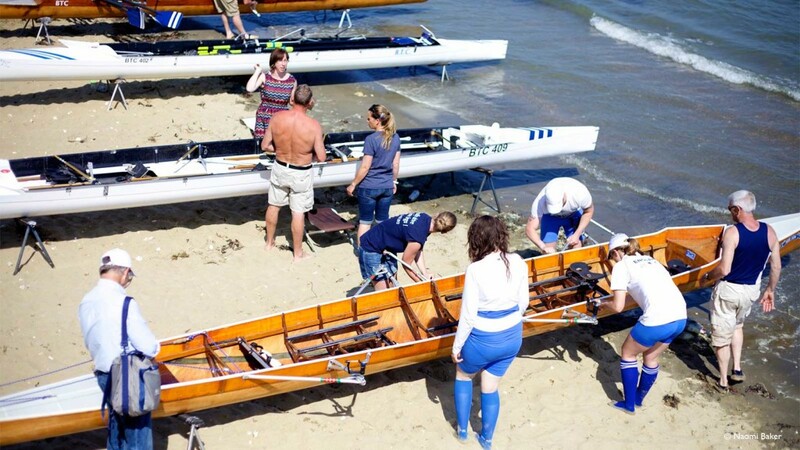 The clubs and associations practising sliding seat coastal rowing are mainly found along the south coast of the UK and the Channel Islands. The fine boat, also known as the Olympic class boat, is the familiar sliding seat racing shell that you will see rowed or sculled at inland competitions. In ‘sweep’ boats, each rower has one oar (or blade). In ‘sculling’ boats the sculler uses two oars (or blades). The fine boats generally have one, two, four or eight seats/rowers. The eights will always have a coxswain (cox) to steer and direct the crew, whereas a four may be coxed or coxless depending on the type of boat used. Stable boats are very similar to fine boats but are wider than a traditional racing boat. This makes it easier for beginners to learn in and for recreational rowers to use for longer tours or recreational rowing on the river without having to worry as much about balance. Stable boats are usually rowed with two oars (sculling) but can be rowed with one (sweep rowing). A sweep oar boat for two rowers. It has a rudder so will turn easily when one of the rowers uses a foot steering system. As above but with a cox who steers. Sweep oar boat for four people with rudder and foot steering system. Bow person usually steers. Sweep oar boat for four people plus cox who can be seated in either the bow or the stern of the boat. Sweep oar boat for eight people. All 8s are coxed for safety with a cox steering from the stern. This is the smallest boat. One rower has two oars. Two rowers and four oars, steering by pressure on blades or footplate. Four rowers, eight oars. One person has a foot steering system. Eight rowers and 16 oars plus a cox sat in the stern. Coastal sliding seat boats can mainly be found along the south coast of England with clubs based largely in one of two associations. 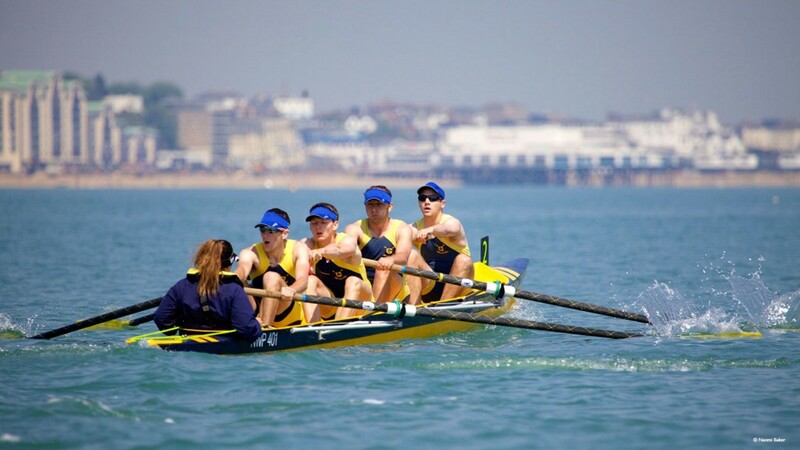 The Coastal Amateur Rowing Association (covering Kent and Sussex) and the Hants and Dorset Amateur Rowing Association. The boat design used by the two associations is largely similar to fine boats but is slightly wider and shorter. Some of the older boats even have staggered seats but most are now inline. These boats are suited to rowing and racing close to the shore and on wide estuaries. The FISA standard coastal boats are significantly wider than fine boats and even the coastal boats used by clubs on the south coast. These boats are designed to withstand rougher sea conditions which give this form of rowing a more extreme challenge than that of its river cousins. Many clubs and rowers based in the South West of England and Channel Islands are adopting the FISA standard sliding seat boats. The boat categories include singles, doubles and quads. The standardisation of the boats has allowed a resurgence in competition on coastal waters around the world. Ocean rowing boats are specifically designed to be rowed across oceans by crews between one and sixteen individuals. More commonly they are rowed in the single, double or quad formats. These boats have crossed major oceans including the Atlantic, Pacific and Indian oceans and have also been used in the Arctic and for rowers circumnavigating Great Britain. The boats carry equipment necessary for long journeys including safety, communication and electrical equipment and also have space for sleeping quarters on board as rowers may be on board for days, weeks or even months.